Looking for Food Delivery Services in Austin? Check Out Full Fridge! 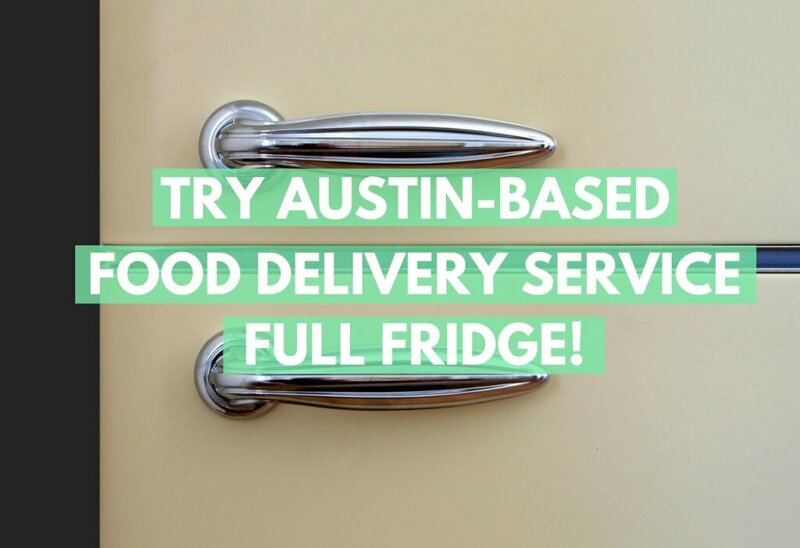 Full Fridge is an Austin-based food service dishing up delicious ready-to-eat meals. For just $75 a week, they'll supply your breakfasts, lunches, and dinners for five days of feasting! The most affordable meal delivery service we've found, Full Fridge is the future of meal delivery. Are you tired of spending money on groceries and making frequent trips to the local grocery store? Then let Full Fridge do the work for you. Full Fridge is an Austin-based company that delivers freshly prepared meals straight to your doorstep. They purchase fresh ingredients the day before orders are delivered, then cook fresh, and deliver – nothing is ever frozen! Full Fridge strives to make all meals as nutritious AND affordable as possible. With prices starting at just $5 per meal, it’s doubtful you’ll find a cheaper meal delivery service on the market. Best of all, there’s absolutely no tedious preparation or clean-up afterward. Just heat, then dig in! The process is simple – you place an order, Full Fridge prepares your meals, and your food is delivered right to your door (with no delivery charge!). You can choose from a three-day box with nine meals or a five-day box with fifteen meals, each of which has perfectly proportioned meals for breakfast, lunch, and dinner. Full Fridge costs $54 for a three-day box ($6/serving) and $75 for a five-day box ($5/serving), saving you time and money you would have spent on grocery trips. What Kind of Dishes Can I Expect? Full Fridge preps wholesome, nutritious dishes using fresh ingredients cooked right before delivery. For a five-day box, a typical menu consists of two breakfast choices (i.e. Apple and Cinnamon Porridge or a Vegetable Fritatta) an assortment lunch and dinner proteins (i.e. Chicken Fricassee and Roasted Pork Shoulder), and a few sides to round out the meals (i.e. Steamed Broccoli and Indian Rice). While the card included with each order indicates the recommended menu, you’re free to mix and match the proteins and sides to your own liking. Currently, this up-and-coming service does not offer boxes for special dietary needs. However, Full Fridge does work with local nutritionists to ensure meals are safe, healthy, and balanced, giving you a good assortment of vitamins and minerals. If you live in Austin, TX and want to take advantage of this convenient service, choose your first box to get started. This delivery service is not a subscription, so you aren’t locked into ordering every week. Order at your convenience and enjoy scrumptious meals on your schedule!